It is a turbulent time of rising hostilities on the Korean peninsula. The 70-year division between the Korean people is one of the most tragic in history. The war remains unresolved between North Korea, the U.S. and South Korea, and little progress has been made toward a new future. A Korean expression says, “Love without conditions.” This is the way Jesus loves. This love does not follow the logic of political realities, but of Jesus’ death and resurrection and the “new creation” and “ministry of reconciliation” (2 Corinthians 5:11-21). Such love commits us to the idea that if we approach other people as human beings beloved by God, we can work through deep differences and see that reconciliation is not only possible but desirable. The call to today’s church is to wash feet across divides, to provide hospitality to strangers and to go into deeper waters of risk and faith. 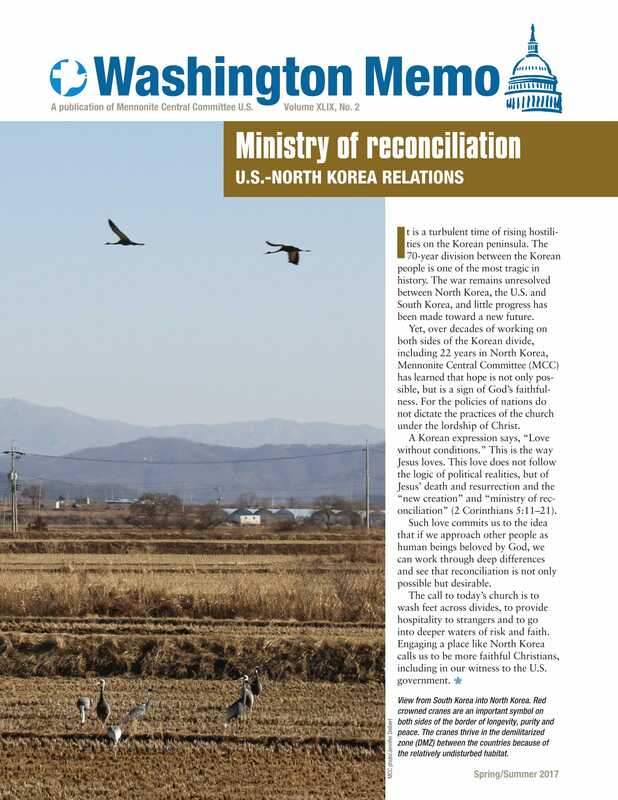 Engaging a place like North Korea calls us to be more faithful Christians, including in our witness to the U.S. government.